Shares of Simplybiz Group PLC EPIC code: LON:SBIZ has moved up 4.9% or 7.48 points throughout today’s trading session so far. Investors seem confident during the trading session. The high for the period has reached 159.98 and hitting a low of 157.43. The total volume of shares traded by this point was 59,569 while the average shares exchanged is 51,838. The 52 week high is 208.9 which is 56.4 points difference from the previous close and the 52 week low at 145 which is a difference of 7.5 points. 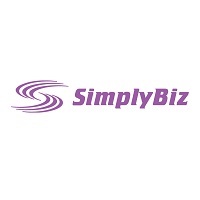 Simplybiz Group PLC has a 20 day moving average of 165.49 and now its 50 day simple moving average now at 181.34. The current market capitalisation is £118.51m at the time of this report. Share price is traded in GBX. Mcap is measured in GBP. This article was written with the last trade for Simplybiz Group PLC being recorded at Thursday, November 29, 2018 at 11:57:03 AM GMT with the stock price trading at 159.98 GBX. The trading price for Mediclinic International PLC with company EPIC: LON:MDC has moved up 3.61% or 12.6 points in today’s trading session so far. Investors have stayed positive throughout the session. Range high for the period has seen 371.9 and hitting a low of 350.7. The amount of shares exchanged has so far reached 2,095,369 while the daily average number of shares exchanged is 3,041,952. The 52 week high for the share price is 712.4 equating to 363.1 points different to the previous business close and a 52 week low sitting at 330.7 making a difference of 18.6 points. Mediclinic International PLC now has a 20 simple moving average of 370.32 and now a 50 day moving average now of 403.67. The market capitalisation is now £2,535.26m at the time of this report. Share price is traded in GBX. Mcap is measured in GBP. 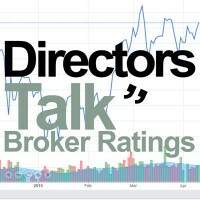 This article was written with the last trade for Mediclinic International PLC being recorded at Thursday, November 29, 2018 at 12:02:20 PM GMT with the stock price trading at 361.9 GBX. Stock in Micro Focus International plc with EPIC code: LON:MCRO has moved up 1.74% or 27 points throughout today’s trading session so far. Buyers have stayed positive throughout the session. The periods high has reached 1593.5 while the low for the session was 1537. The total volume of shares exchanged so far has reached 356,793 whilst the average number of shares exchanged is 2,042,123. The 52 week high for the shares is 2970.5 equating to 1420.5 points difference from the previous days close and putting the 52 week low at 782.2 which is a difference of 767.8 points. Micro Focus International plc has a 20 SMA of 1407.68 and also a 50 day MA at 1383.45. Market capitalisation is now £6,564.94m at the time of this report. All share prices mentioned for this stock are traded in GBX. Mcap is measured in GBP. This article was written with the last trade for Micro Focus International plc being recorded at Thursday, November 29, 2018 at 12:04:22 PM GMT with the stock price trading at 1577 GBX. Shares of MONDI/PAR VTG FPD 0.2 company symbol: LON:MNDI has risen 2.05% or 35 points during the course of today’s session so far. Investors have stayed positive while the stock has been in play. The high for the period has peaked at 1774.1 while the low for the session was 1714.5. The total volume of shares exchanged so far has reached 492,556 with the daily average traded share volume around 2,189,137. The 52 week high for the shares is 2250 about 541.5 points in difference on the previous days close and a 52 week low being 1684 a difference of some 24.5 points. MONDI/PAR VTG FPD 0.2 has a 20 SMA of 1806.6 and the 50 day simple moving average now of 1897.69. Market capitalisation is now £8,338.04m at the time of this report. All share prices mentioned for this stock are traded in GBX. Mcap is measured in GBP. This article was written with the last trade for MONDI/PAR VTG FPD 0.2 being recorded at Thursday, November 29, 2018 at 12:04:19 PM GMT with the stock price trading at 1743.5 GBX. The share price for Randgold Resources Limited EPIC code: LON:RRS has climbed 2.9% or 182 points during today’s session so far. Traders have remained positive throughout the trading session. The periods high has reached 6468 and hitting a low of 6330. The total volume of shares exchanged through this period comes to 111,742 while the average shares exchanged is 497,628. The 52 week high for the shares is 7470 some 1194 points different to the previous business close and a 52 week low sitting at 4607 making a difference of 1669 points. Randgold Resources Limited has a 20 SMA of 6410.7 and a 50 day moving average now at 6056.3. The market cap now stands at £5,929.29m at the time of this report. All share prices mentioned for this stock are traded in GBX. Mcap is measured in GBP. This article was written with the last trade for Randgold Resources Limited being recorded at Thursday, November 29, 2018 at 12:03:12 PM GMT with the stock price trading at 6458 GBX. The stock price for Rentokil Initial plc ticker lookup code: LON:RTO has risen 1.51% or 5 points during today’s session so far. Buyers have remained positive during this period. The high for the period has peaked at 340.75 meanwhile the session low reached 332.4. The total volume traded so far comes to 1,001,353 while the average shares exchanged is 5,692,437. The stock 52 week high is 356.4 some 25.1 points in difference on the previous days close and a 52 week low being 257.4 is a variance of 73.9 points. Rentokil Initial plc has a 20 day moving average of 320.42 and also a 50 day moving average now at 317.51. Market capitalisation is now £6,052.97m at the time of this report. All share prices mentioned for this stock are traded in GBX. Mcap is measured in GBP. This article was written with the last trade for Rentokil Initial plc being recorded at Thursday, November 29, 2018 at 12:03:52 PM GMT with the stock price trading at 336.3 GBX. Click MCRO MDC MNDI RRS RTO SBIZ for the full archive.